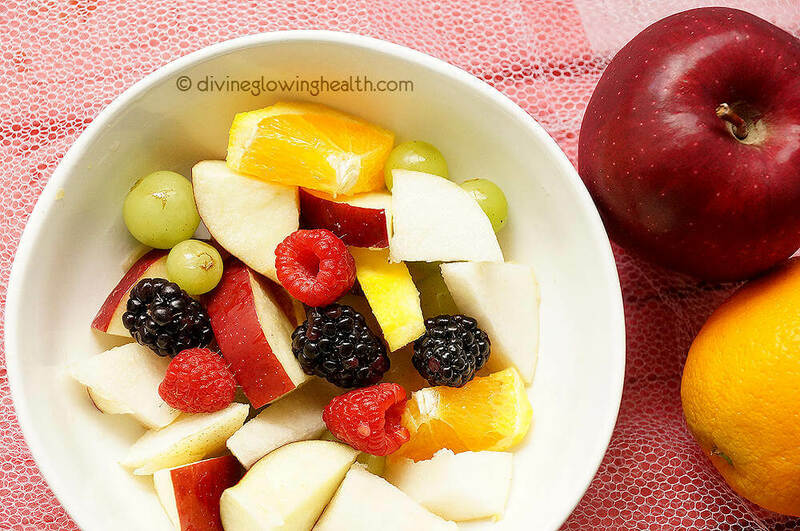 This is literally the fruit salad my husband and I eat every day. 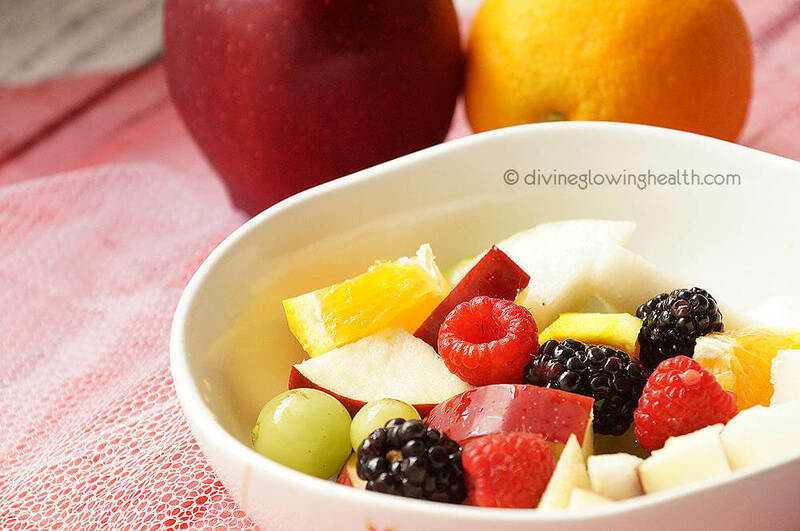 I often rotate between blueberries and blackberries, strawberries and raspberries, as well as red and green grapes. Use vegetable cleaner to clean off the wax and other pesticide and chemicals off the fruits. Chop the orange by removing the outermost layer, try and include as much as the white stuff as possible because the pith is so healthy you can’t even begin to imagine! Chop the apples and pear. 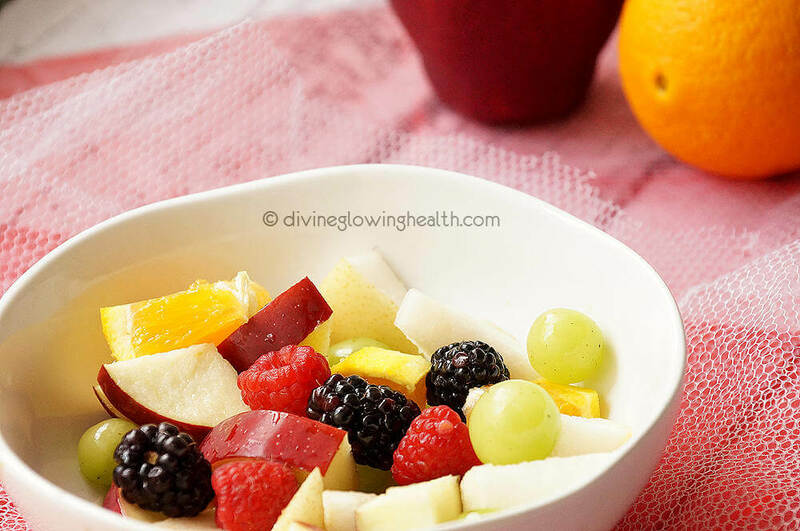 Mix all the fruits together and split in half and you are done! 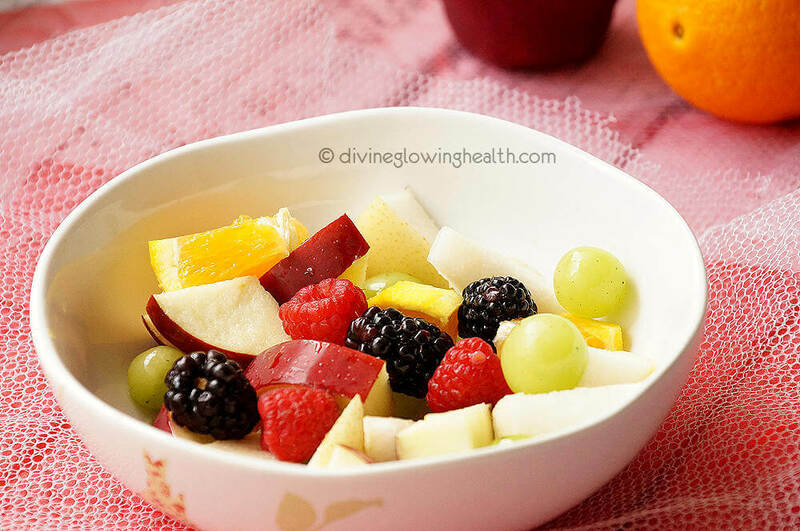 Tip: Try and cut up a few of them in one day, it will save you time and you’ll have a bowl of fruits to enjoy each day!